I am so excited because I got an email from Chobani that they are sending me some more yogurt – I should have it next week, so you better believe that the breakfast parfaits will be a common breakfast! 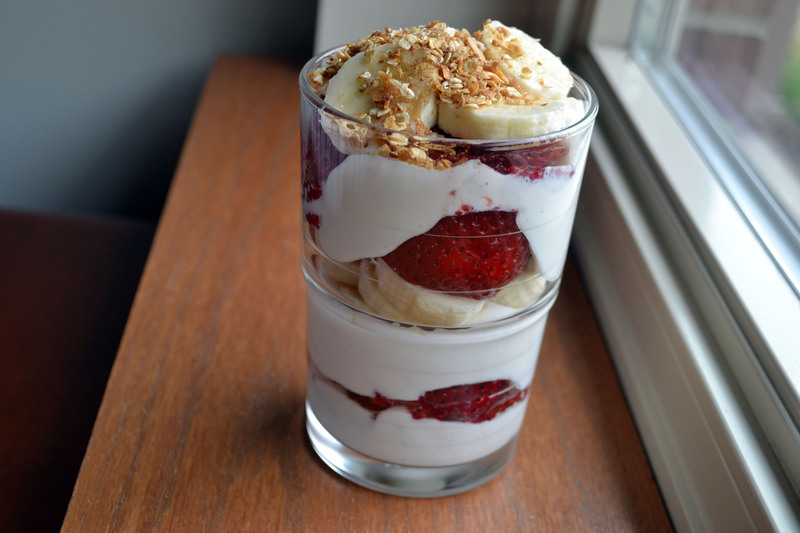 I have to say I think one of my favorite combos is strawberry and banana with the plain yogurt – I thought I had granola in my drawer but I must have left it at home, so I just had about 2 tablespoons to sprinkle in this parfait – breakfast comes in at 343 calories, 2 fat, 63 carbs, 5.4 fiber and 21 protein. The weather was a bit iffy yesterday, but I decided to chance it. No rain! I did my regular 50 minute walk. My phone was ready for an upgrade so I got a new smart phone – it’s U.S. Cellular’s version, not an iPhone, but the sound while I am listening to Pandora is amazing – I had no idea how crappy the sound was on my old blackberry! 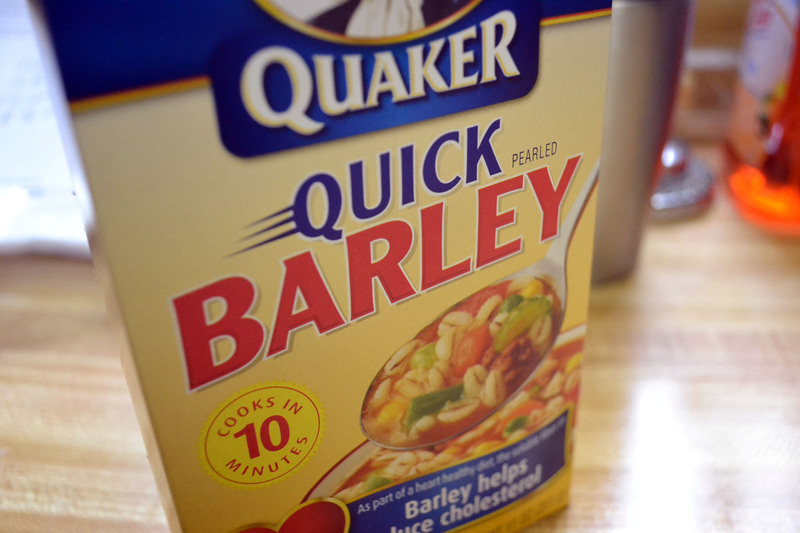 Have you ever cooked with barley? I’ve beef and barley soup, but I’ve never really had barley straight up before. 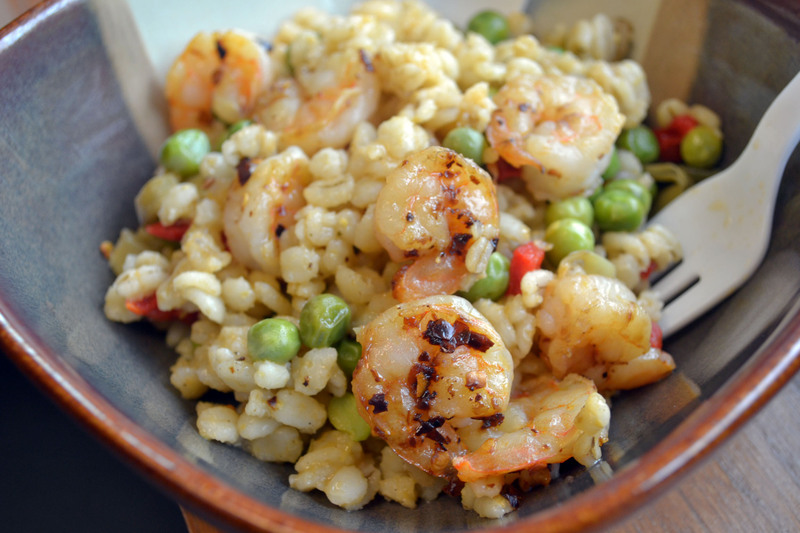 I saw this recipe on tastespotting when I searched for barley – I did switch it up a bit because I used instant barley, so I will say this recipe was inspired by Cara’s. Boil the 3 cups of water. 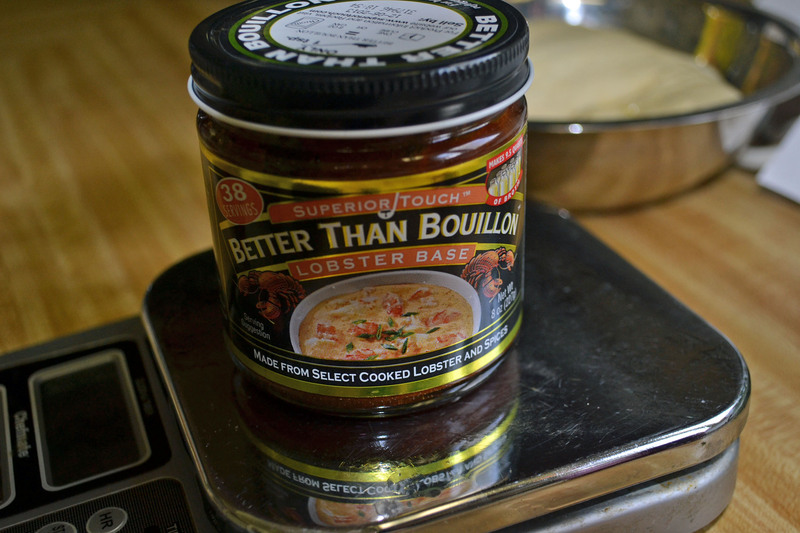 When it comes to a boil, add the lobster base and stir to dissolves, add barley, put on simmer and cook for 10 minutes. Remove from heat and fluff with a fork. Stir in garlic, artichoke hearts, red peppers and lemon zest. 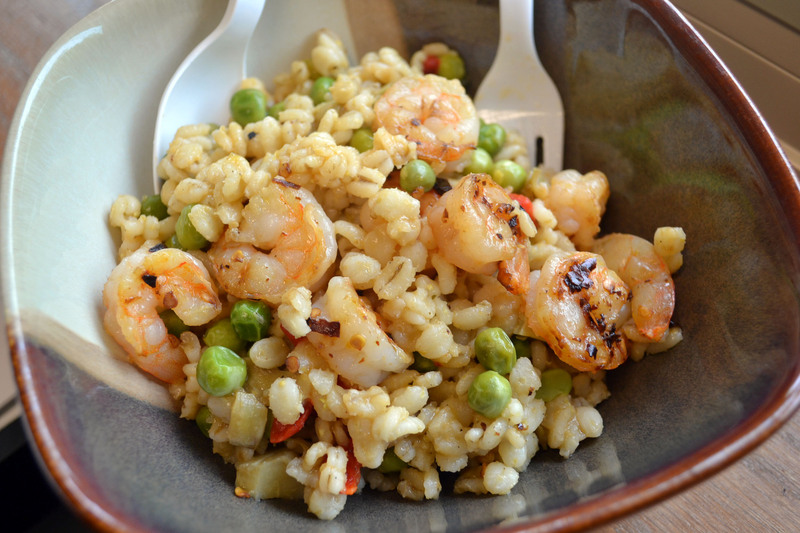 Since I was making this for one of my lunches, I just sauteed my shrimp yesterday morning before work in some Pam and crushed red pepper and then reheated it all when I got to work. This was so good. I thought it wouldn’t be flavorful enough because other than salt and peper, there isn’t too much seasoning, but the lobster base was delicious. Do you have any barley recipes to share? I was supposed to have dinner with my Mom last night, but something came up and she had to reschedule. I had defrosted a meatloaf I had put together for Tony to bake for himself. Here’s the deal people. I don’t really like meatloaf. Which is weird because really isn’t it just a glorified hamburger? Maybe it was the huge chunk of onions my Mom used to put into it as a child, not sure. I don’t really have a recipe per se – I buy the meatloaf mix at my store – it’s 1 pound of ground veal, pork and beef. I mix that with about 1/4 cup of bread crumbs, a beaten egg, a splash of worchestershire sauce, some A-1 and salt and pepper. Oh, and I squeeze ketchup and rub it all over the top and . 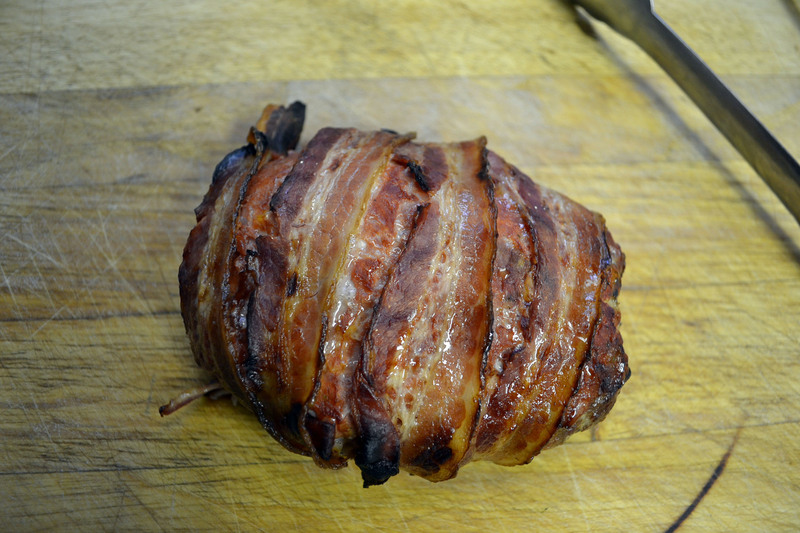 . . wrap it in bacon. I bake it on a rack above a cast iron skillet so the bacon gets all crispy around it. It baked at 375 for 45-50 minutes. 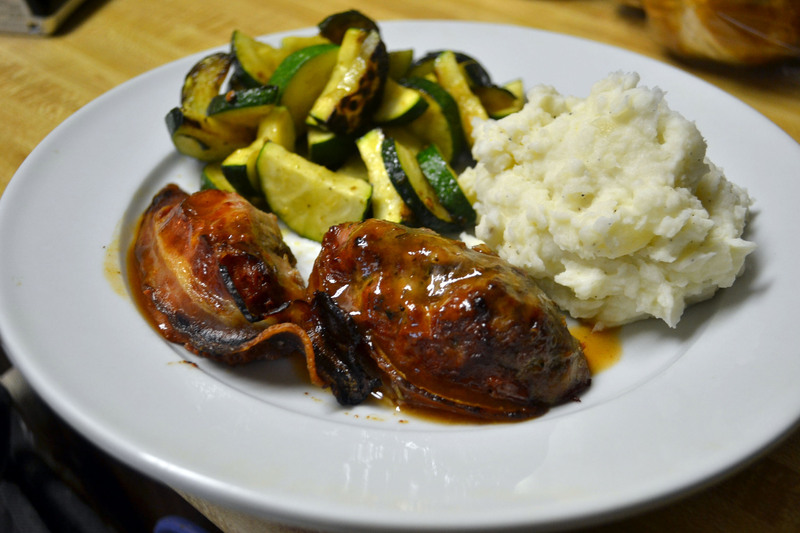 I served mine with a drizzle of bbq sauce, homemade mashed potatoes made with fat free half and half and Greek seasoning, and sauteed zucchini. Dinner comes in at 483 calories, 34 fat, 24 carbs, 2.8 fiber and 19 protein. The verdict? I really liked it! So Tony I guess you’ll be sharing your meatloaf with me from now on! We are supposed to have temps in the low 80’s today, but its going to be stormy – hope I get in my walk at lunch today.